Almost every week there seems to be a new way of communicating with your audience: the internet has made marketing as exciting and fast-moving now as it has ever been. But there is one tool that has been the most popular for a number of years: people may call retro, but is actually a classic online tool – email marketing. Just because email marketing has been around for a while doesn’t mean that it is done perfectly by everyone. In fact, most email marketing is of a poor quality and even with low costs, ROI can be disappointing. It’s personal: Being addressed by your name in an email is now an expectation of the recipient. This is so easy to do, there is no excuse! You should be doing everything you can to avoid the spam filter, i.e. your email disappearing into the spam filter with questionable medical and online ‘friendship’ opportunities! So, avoid using block capitals (they just make text harder to read), avoid trigger words like ‘free’, ‘click now’, etc. Most email providers will allow you to test your email for spam. There is a lot more to avoiding the spam filter, but this should give you a flavour of what to avoid. Bad HTML: This is a bit technical, but still important. If you copy your text from Word straight into your HTML email, then I’m afraid you are guilty of this. Run the HTML past an expert if you are in doubt. 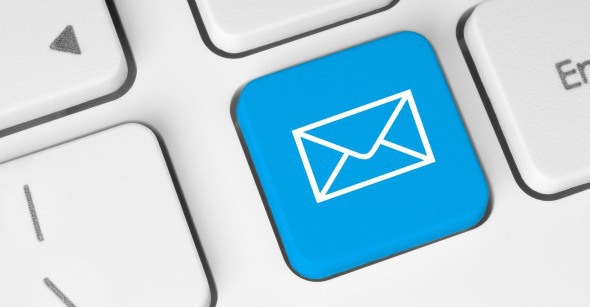 Do you have an element that you always look out for before you send an email campaign? What parts of the anatomy have been missed out here? Leave a comment and let me know!